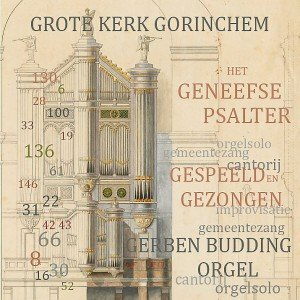 Complete Organworks by Samuel de Lange jr. played by Gerben Budding on the Bätz-Witte orgel (1853), Grote Kerk Gorinchem (NL). 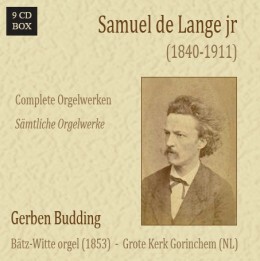 Gerben Budding recorded the integral organ work of Samuel de Lange jr. (1840-1911). De Lange jr. -born in Rotterdam and died in Stuttgart- was composer, conservatory director, organist, pianist, conductor, organizer and music pedagogue. He was a son of Samuel de Lange sr. and brother of Daniël de Lange. 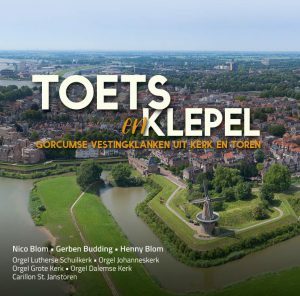 Most organ works by De Lang jr. are no longer available on the market. At the end of 2014, Gerben Budding went looking for manuscripts and prints of the organ music by Samuel de Lange jr. Most of the scores were finally obtained via a library in Berlin. These are 19th-century editions from, among others, J. Rieter-Biedermann (Leipzig) and N. Simrock (Berlin). The music turned out to be of such a high quality that it was decided to make an integral recording. The CD box will contain nine CDs. 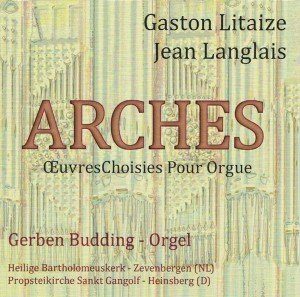 The first two CDs contain compositions based on a choral theme: Lutheran corals, melodies from the Genevan Psalter, a Gregorian hymn and chorale melodies of their own invention. The third CD contains compositions based on folk songs. CDs 4 and 5 contain character pieces. On CDs 6 and 7 you will find virtuoso concert music. The last two CDs contain mainly large preludiums and fugues. Deze unieke 9 cd-box is te bestellen via de bestelknop op deze pagina (€69,95 excl. verzendkosten).